Claritask supports many essential features that are key to running a successful agency. Nothing is ever lost in Claritask. Claritask is quick in allowing you to move things around, organize projects in detail, and prioritize as needed. Major features include: multiple workspaces, multiple projects, task groups, quick re-ordering, multiple custom tags, multiple task assignments, delegated subtasks, checklists for subtasks, time tracking and time sheets, history on task and project level, chat on task level, and more. Create a task, as part of a task group or the solo list, for later re-ordering. Assign a task to a team member (or a few). You can assign multiple people to a single task and then further delegate its subtasks to a single team member. Label tasks with multiple custom tags (stages, context). Afterwards, your staff can further filter their tasks based on a specific tag. 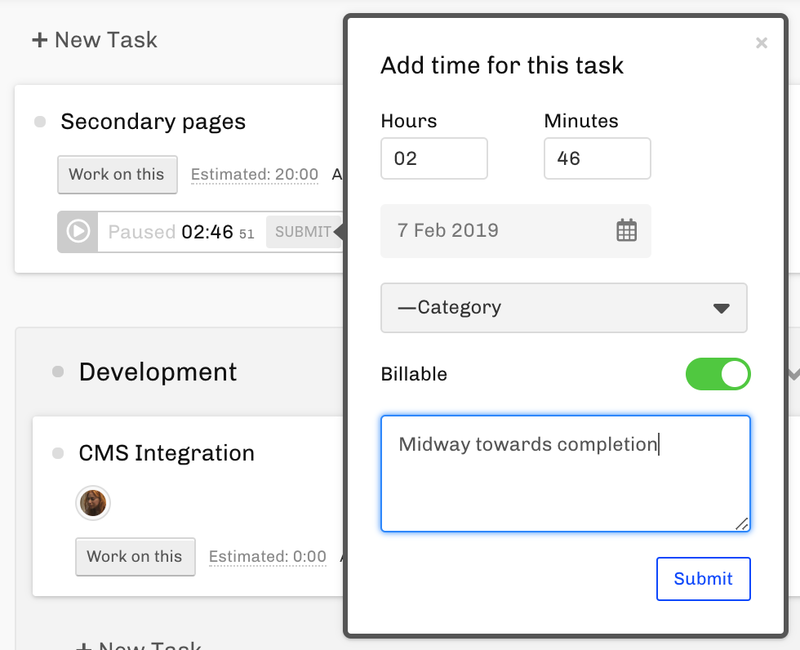 Delegated tasks show under "My Tasks" for your specific team-member. This way they can focus on their own deliverables only without being overwhelmed by the big picture inside of a specific project. As a project admin/manager you can see everyone's "My Tasks" (what's on their plate) and re-delegate tasks as needed. Comment on a task to further clarify needs and priorities. Your staff will immediately get a notification about your latest comments on that task. 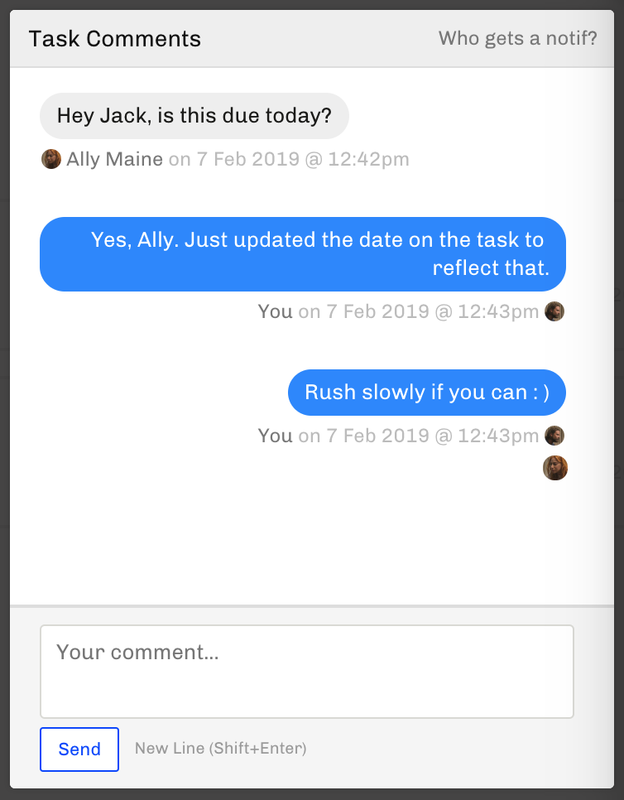 Add granular details to a task via subtasks. 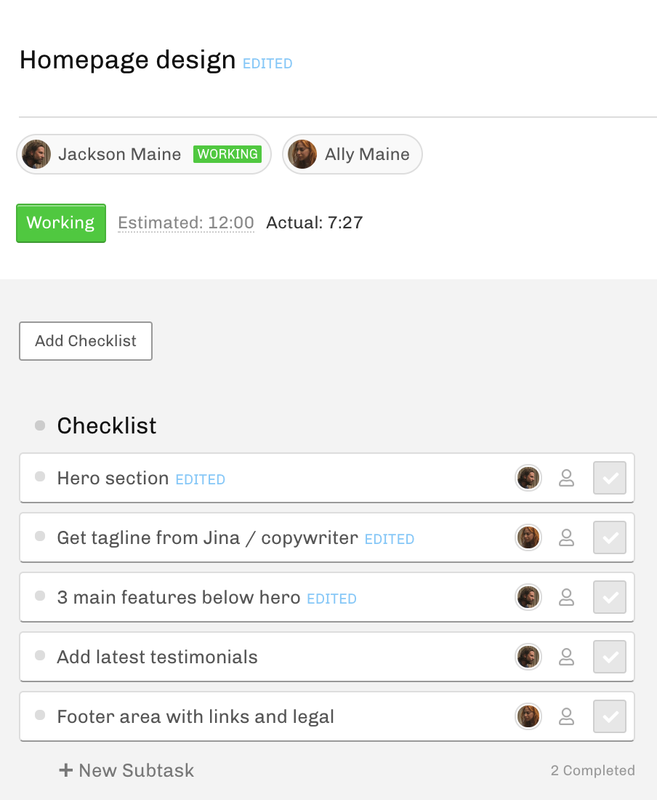 Subtasks can be organized in Checklists and delegated to a single person, as well. 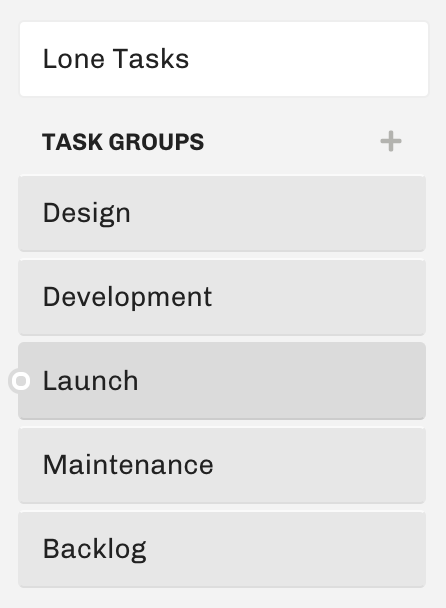 Organize tasks in groups. Task groups could be a major feature that holds a set of Tasks, or Stages as in kanban, or any other way you see fit for your particular project. Always know the latest. Task history shows you every action taken by anyone on that task. Nothing is ever lost in Claritask. Everything is accounted for. Track time on task level and pause/play as you switch working between tasks. Get timesheet reports based on time categories, tasks, people, projects. Latest completed tasks across projects, latest comments on any task, and more. As a Owner/Admin you have access to the "Everything" section where you can see the very latest activities across all projects. Claritask is built for the project manager who needs to be on top of their projects and deliver projects on time. Want to learn more about Claritask? Schedule your 1-on-1 Demo today.